This morning, the sun was hitting the aspen grove so perfectly that I had to take a few photos. The sun so perfectly illuminated those pale tree trunks, but unfortunately, I’ve yet to find any device that really can capture the eerie beauty of quaking aspen in the summer sun. We’re still experiencing freakish 100 degree temperatures. There isn’t much of a breeze, but a slight one did start to kick up. Quaking aspen leaves will shaking in even the slightest breeze. That’s how they got their common name, and this feature is also reflected in their scientific name, Populus tremuloides. 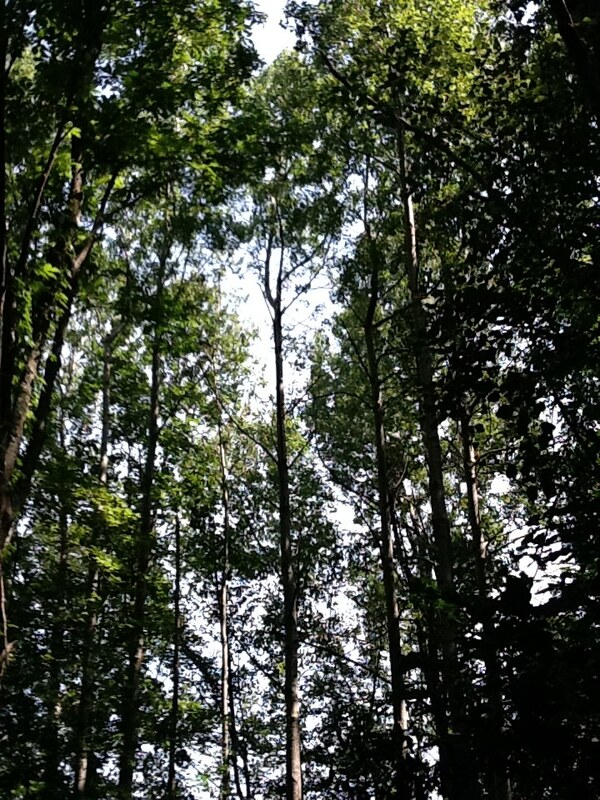 They are among the first really tall deciduous trees to colonize an area that is slowly returning to forest. Most of this area was open pasture, but because many of the farms have since been abandoned, the aspen groves have been able to pop up. 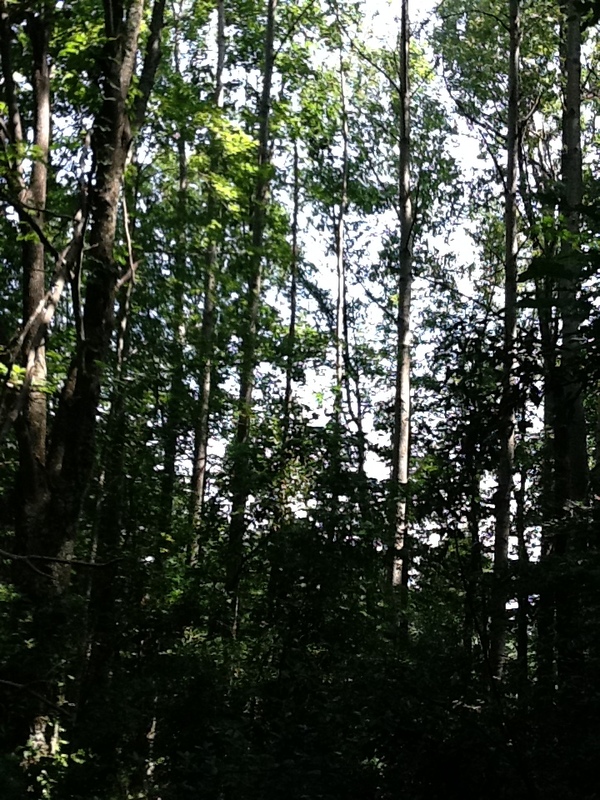 Over time, the aspen die, and hardwood trees grow in. When my time comes, I want my ashes spread in a grove of quaking aspen. I want my elements to enrich the aspen, and when they die, their elements will enrich the other trees that replace them. I want my elements restored to nature, where they will enrich other living things. That’s the only eternal life I need. In this squelching heat, it’s oddly peaceful and sweet. The air is muggy and oppressive. But there is still some gentle breeze out there. The aspens will catch it. Gorgeous. My Giants are playing in Pittsburg today, which is 98 with a Dangerous Heat Index. Eeeeek! Around seventy here in England and raining nearly every day because the north atlantic jetstream is circling above us instead of over Iceland where it should be. But that’s okay, other countries are reportedly experiencing much worse climate change than us – so far! But one hopes the rain will stop before the olympic games begin..! The bamboos in our garden have sent up new shoots this year, some reaching twenty feet already. Woodland paths are ankle deep in mud so its lucky the nearby chalk hills are well drained for dog walking – provided you can stand in the wind up there.